Our Best Wishes for this 2018. 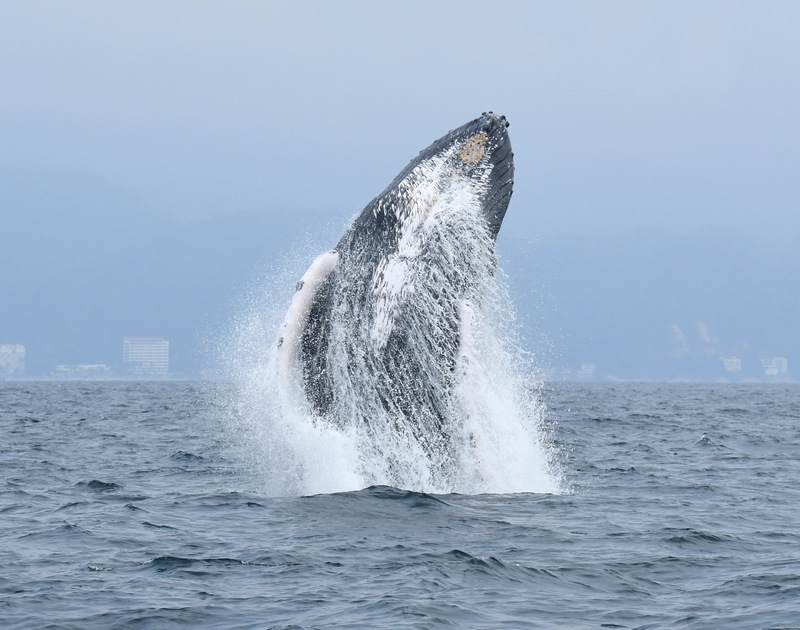 The official whale watching season began on December 8, and Will end on March 23, 2018. Therefore, SEMARNAT (bureau of natural resources management) handed out the permits and the flags (grey this year), which will have to be onboard and visible by all those boats providing with Whale watching activities. 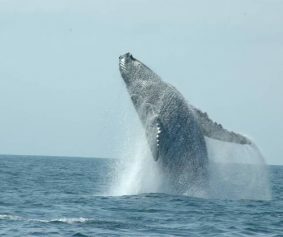 So far, this season, many whales have been sighted in the Bay, whichhavebeen very active and distributed throughout the Bay. Reason why we are very happy and eager to continue working. ENSURING THE PERMANENCE OF THE WHALES. 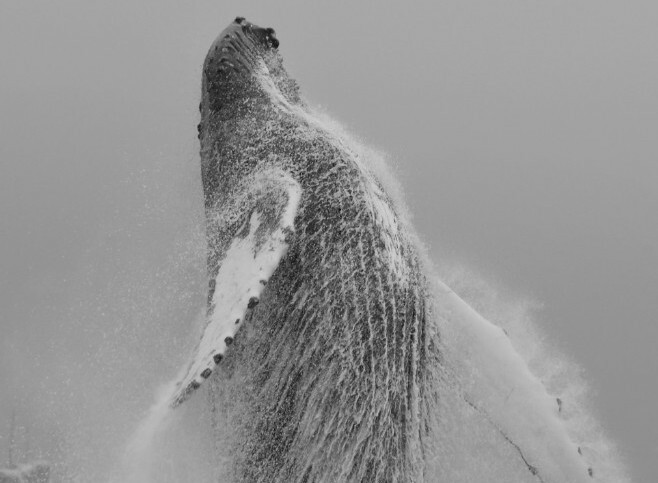 For this season, we are looking to obtain funds to carry out the Program of Prevention, Information, Monitoring and Surveillance of Humpback Whales in the Bay of Banderas. This program has been operating for 6years, and has obtained excellent results, which you can consult in end of season bulletins, available on our website https://www.ecobac.org/boletines/. 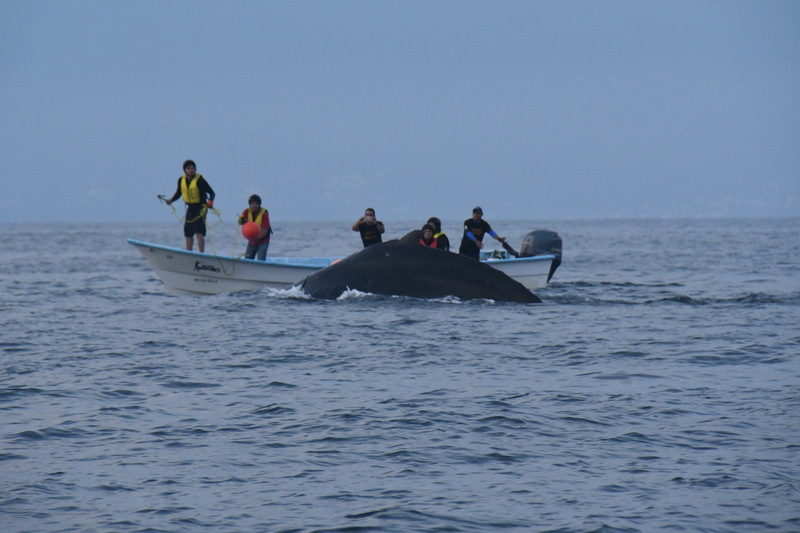 In summary, the harassment of whales caused by boat agglomerations has diminished considerably and the number of boats without permits has also decreased. We believe that it is essential to continue with the program. 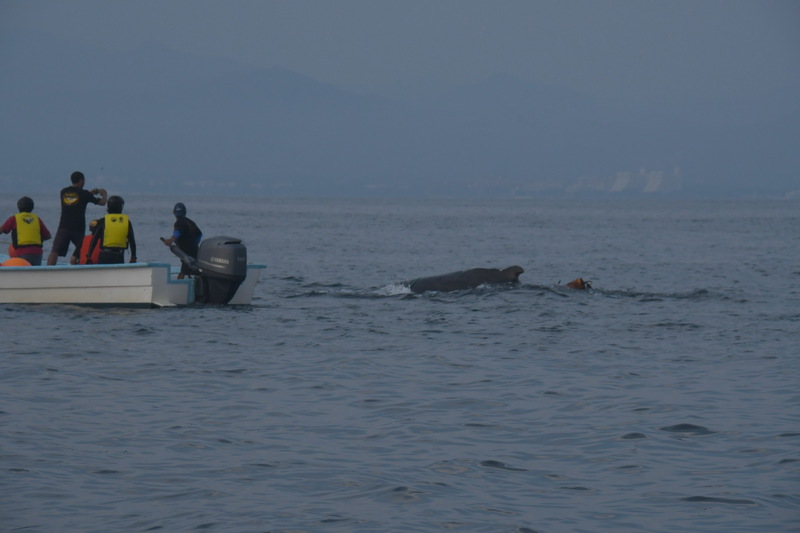 This because within the bay there are many private vessels that do whale watching, ignoring the applicable regulations, therefore leading to whale harassment and interruption of their behaviour and cycle. The program has been carried out for 6 years, this was possible thanks to being able to gather funds from various institutions such as the National Commission of Protected Natural Areas (CONANP), Fish and Wildlife Service of the United States and Punta de Mita Foundation. However, for this season we are raising funds through donations or sponsorship to cover for one or more outings. 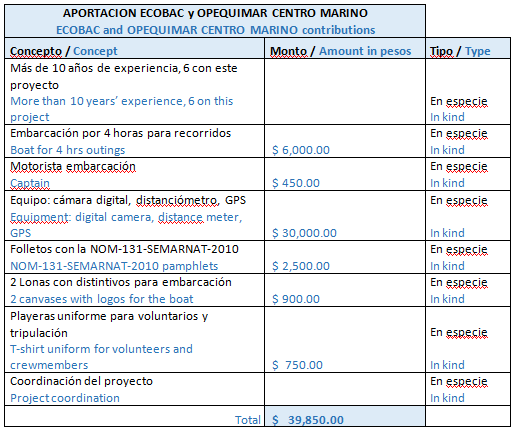 The requested contribution is approximately $ 3,000 pesos (depending on the price of gasoline), and as you will see in the following accounting summaries, the requested contribution is minimal, especially if you consider all the benefits it represents and the contributions made by ECOBAC and OPEQUIMAR Marine Center, and the invaluable support of the volunteers. So far, we have received funding for 5 outings, which will be distributed along the month of January. 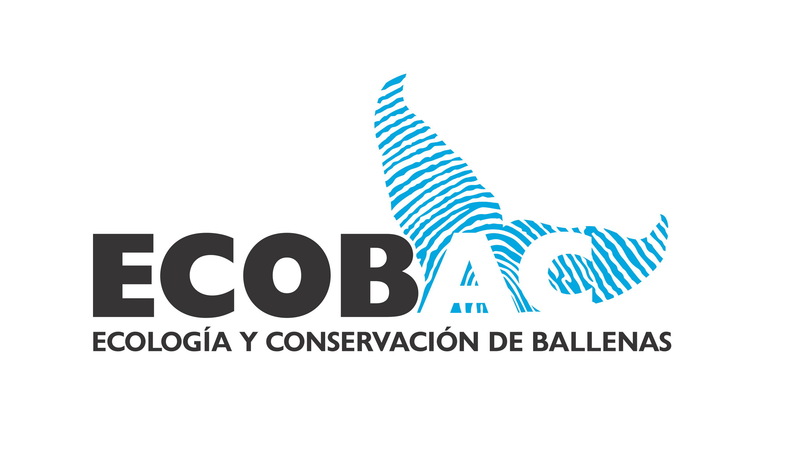 If you,friend of ECOBAC, wish to collaborate with this program or have an acquaintance who would like to donate, please get in touch with us through here or our website www.ecobac.org, you can also look for us on Facebook as “Ecología y Conservación de Ballenas A.C.”, or send an email to ecobac.org@gmail.com or by phone (322) 2937851, where we will gladly assist you and we will give you more information about it. 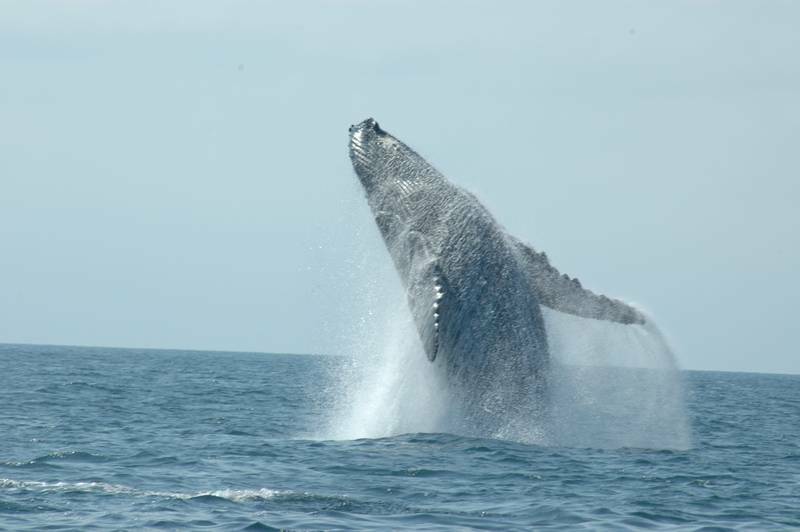 In the winter season, whales and tourist visit Banderas Bay. As we all know whales come to mate and to calf and being high tourist season the amount ofboats in our beautiful Bay increase considerably. That´s why, one more time ECOBAC is working on the “Navigate with Caution” Campaign, inviting boaters to lower their speed and extreme caution during whale season, in order to avoid collisions with whales. 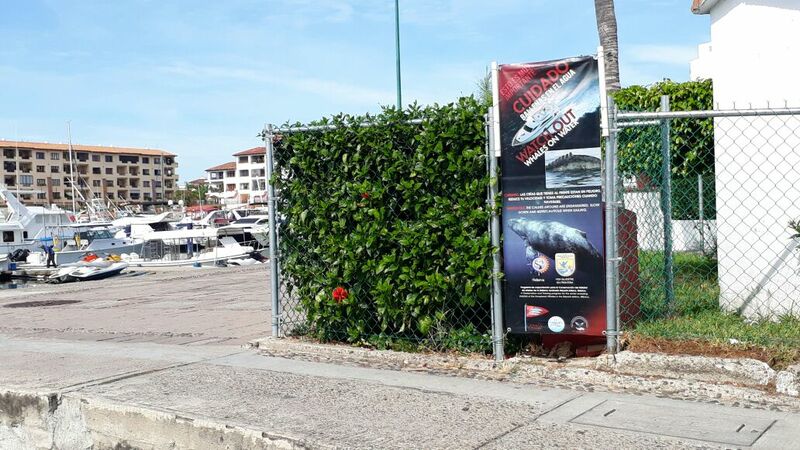 This year we are displaying posters in different businesses and a canvas at the boat ramp in Marina Vallarta. Help us spread the word! RABEN TEAM, A PERMANENT COMMITMENT. With the arrival of thewhales we also started to receive reports of entangled whales. RABEN Bahía de Banderas has received 3 reports to date which have been corroborated but despite all efforts the release has not been possible due to the time of day or that the whale was not located. 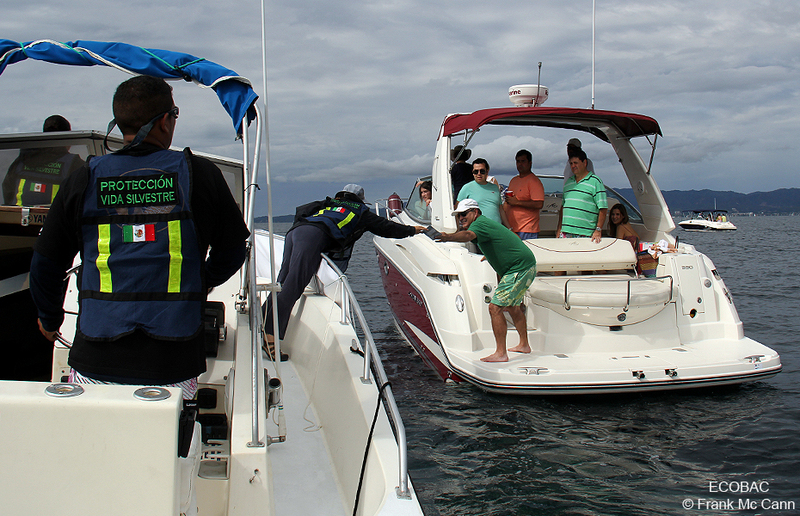 RABEN coordination would like to thank Dolphin and Vallarta Adventures, API Nautical Traffic, Ecotours de Mexico, Pablo Fernández de Marina Vallarta, Technological Institute of Bahía de Banderas and Explora Vallarta for the support in the days of search. 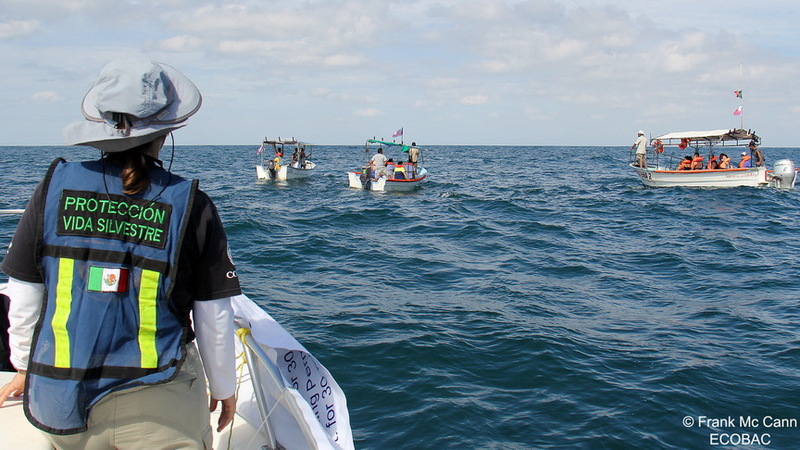 We would like to especially thank Opequimar Marine Center for their support with the vessel and its crew, to CONANP for the support with personnel to coordinate the program, to Frank Mc Cann for his support to obtain funds, to Ecotours de México, Lavery’s Sod Farm, Inc. and Virginia Espino, who kindly donated money that will serve to pay for fuel and refreshments for the volunteers. Thank you very much, without this it would not have been possible to initiate this 7th year of surveillance. We have no doubt that with your support we will be able to raise funds for more outings.ECOBAC staff wishes you an excellent year kick off.